A poultice is a combination of a dry, absorbent medium and a liquid chemical or cleaning agent. The ingredients for your poultice will depend on what type of stain you are trying to remove. 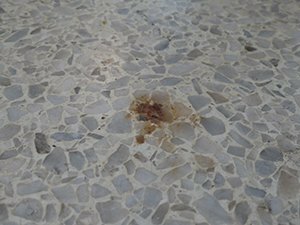 Please visit our Stain Removal Application for the specific ingredients and directions for mixing and applying a poultice.